You HAD to know the alpacas were coming! 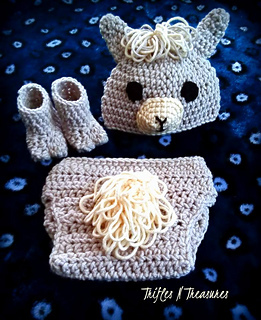 The Adorable Alpaca Infant Photo Prop Set is sized for 0-3 mos only, and how cute is it?? 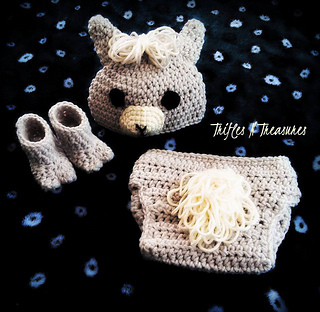 Instructions included for hat, diaper cover, and hooves…I mean, boots! There is also a mini photo tutorial included for the loop stitch, used on the tail.